Have you ever stumbled across a website and thought, “hmmm… this has potential!”? 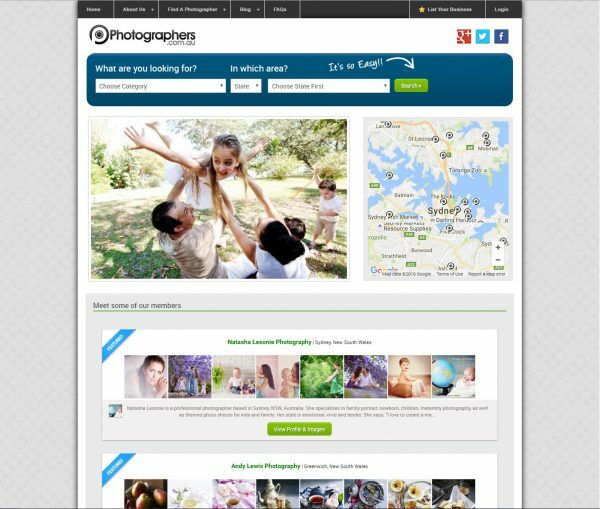 That’s exactly how I feel about this offering from photographers.com.au. Essentially, it’s a directory site. So, if you’re a photographer yourself, you can put your own details up there, and depending on what level of support you choose, you can be found through the search bar which sorts photographers via category (product/studio, wedding, food, nature, portrait, etc), and via location. 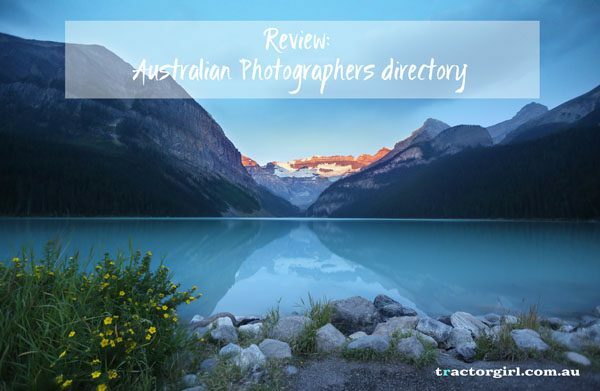 The basic listing is free, and it ranges up to $32AUD/month for a Professional Plus account. If you have a paid account, potential customers can pick you up from seeing your work featured on the home page. When they click on your link, they’ll be taken to your profile page on the site, which has more examples of your work that you’ve uploaded, a short “About” section, any testimonials you’d like to include, and various other sections for listing awards, high profile clients, and contact details. If you’re a member of the public, You can search by category and location, although you can’t search by name (but then there’s always Google, if you’re looking for someone you know 😉 ). Then once you’ve found a few potentials, you can request a quote from them; and after you’ve used one, you can leave a review and a star rating for the next person too. Having said all of that however, the site does have a few issues. The clunky branding for one. For a photography site where the image should be king, there’s just too much going on on the home page. From the patterned background, to the drop-shadow on the edges on several of the boxed areas, to the inclusion of the map of Sydney. Then there’s the tiny writing in the menu, the very generic blue search box, some boxes with rounded corners and some with square, and the ‘Meet Some of our Members’ section laid out like a real estate showcase (not to mention the techy glitch of weird characters showing up where there should be quotation marks). Aesthetic things, to be sure – but I think that if you’re dealing in images, the aesthetics have to be top notch. Make it cleaner, make it neater. Overall however, I think it’s worth having a look at – it seems to be well-populated already, which means that there’s lots of good, dynamic stuff happening. If you’re a photographer yourself, or even if you’re someone who needs a photographer for your next profile shot or product shoot, maybe this is the place to investigate. This post was supported by photographers.com.au; but please rest assured that my opinions are honest, and entirely my own. I only ever share things that I think will benefit my readership.